Late last summer we had a little photoshoot at our house for Design Bloggers at Home, a new book that is soon to be released by Ryland Peters and Small. I felt honoured to be even considered for the book, but also a little embarrassed, because it feels a bit silly getting your house photographed all the time. Mostly our cottage is a chaotic, lived-in mess but it does scrub up well. Thankfully, I had nothing to worry about that day as author Ellie Tennant, and photographer Rachel Whiting, both did an amazing job on the shoot. I really enjoyed hanging out with them all day, chatting about textiles and playing house. 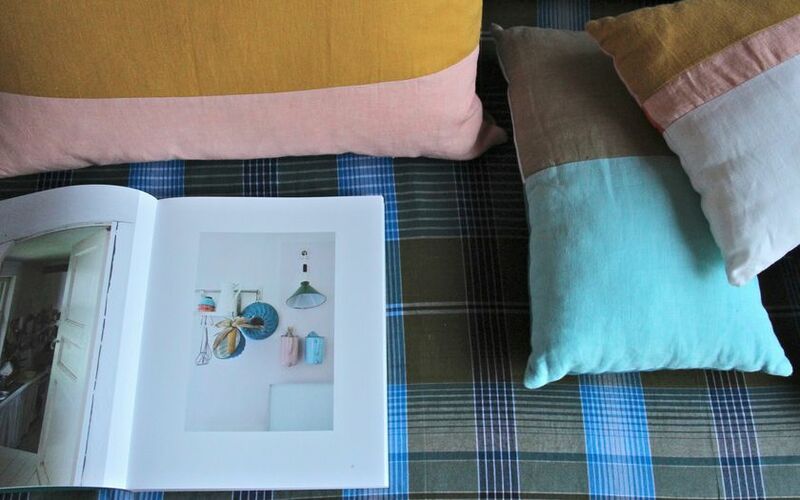 Their photographs look beautiful and I'm very excited to see the rest of the homes in the book. Design Bloggers at Home features twelve spaces belonging to, ahem, 'leading online trend-setters'!! These include SF Girl by Bay, Oh Joy!, Happy Mundane, Vosgesparis, My Scandinavian Home and myself! 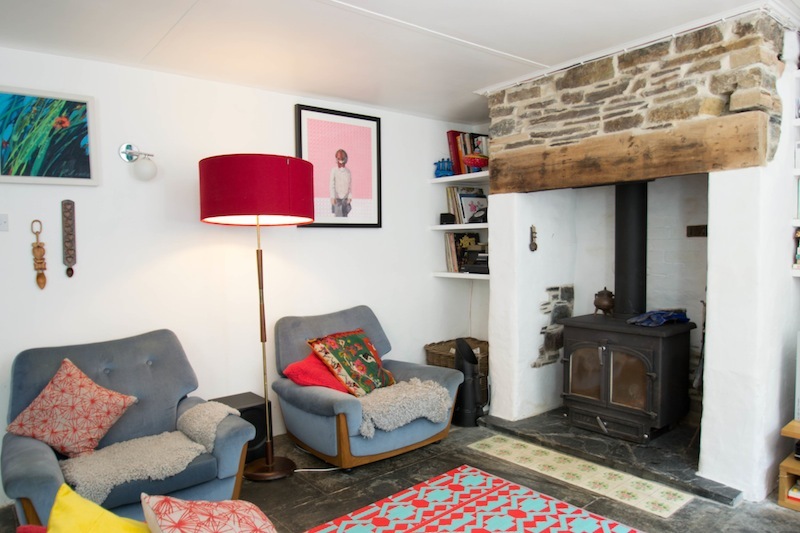 The spaces range from a pared-back monochrome cabin, to a maximalist, colour-filled apartment in California, and of course, my own little cottage in Cornwall. If you'd like to see more, you can pre-order the book now from rylandpeters.com. 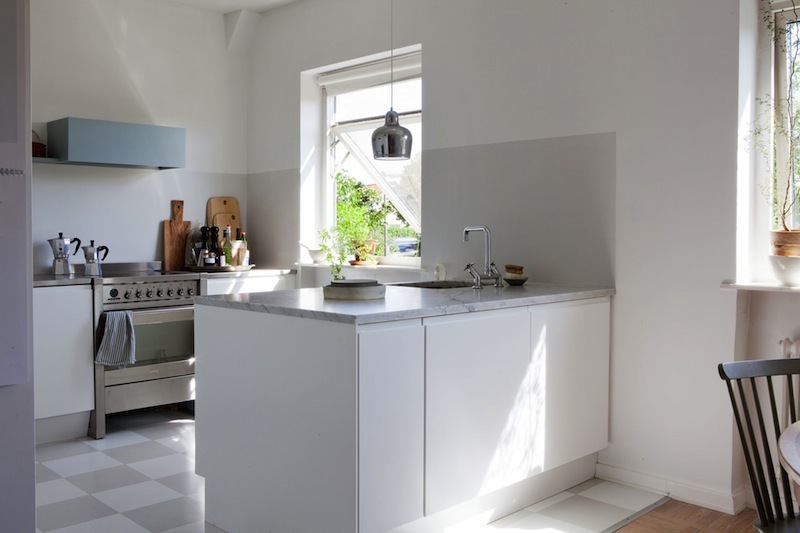 Here are some pictures of my latest house tour, also published on Apartment Therapy. Polly and Dai live just a short walk away from the rugged cliffs and sandy beach of Crackington Haven in Cornwall. The couple moved to this idyllic spot three years ago when their twin daughters, Minnie and Rosie, were babies. Their house is made of traditional stone and cob, and like all good homes is still something of a work in progress. In fact, since I took these photos, they have had their downstairs ceiling removed to reveal the roof timbers - I'm looking forward to seeing how that looks. Since moving into the house, the couple have designed and built a new kitchen, using old tea chests for cupboard doors, and they've transformed the garden with beautiful and productive vegetable beds. This is no mean feat considering they have young twins to look after! The girl's rooms are a definite highlight of the house. Each of them has a great room, and I particularly like Rosie's as she has a cool cabin bed, built into an otherwise empty space behind the stairs. Both their rooms are bright and colourful, and jam-packed with toys, books and pictures. This looks like a fun house to grow up in, and these are my very favourite kinds of family homes. Thanks Polly and Dai for letting me photograph your house! You can click here to see the full tour on Apartment Therapy. I confess I love looking at houses that are for sale and imagining what it would be like to live in them. I usually stick to my local area (or at least the UK!) but I just discovered this house on Pinterest which has taken my interest in foreign houses to a whole new level. 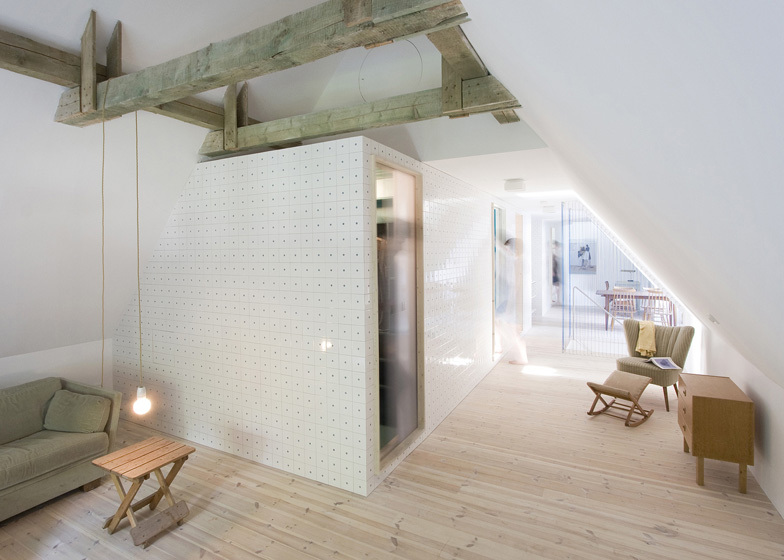 It's for sale through Bolaget, a Swedish estate agent that specialises in the very best Scandinavian homes. As you can imagine, their site is full of great design inspiration. This house is one of my favourites. It's in the Friluftstaden district of Malmö, which is apparently famous for it's functionalist townhouses. The house has lots of light, excellent storage, a wood fire, parquet flooring and marble worktops, not to mention a perfect little outdoor space for growing tomatoes. So, if anybody is thinking of moving to Sweden, this could be your place! P.S. Please may I come and visit? These pictures are quite old (at least by crazy fast-paced fashion/design standards) but they are some of my favourites, so I wanted to post them anyway. They feature Lab products in the home of stylist Anne Millet. 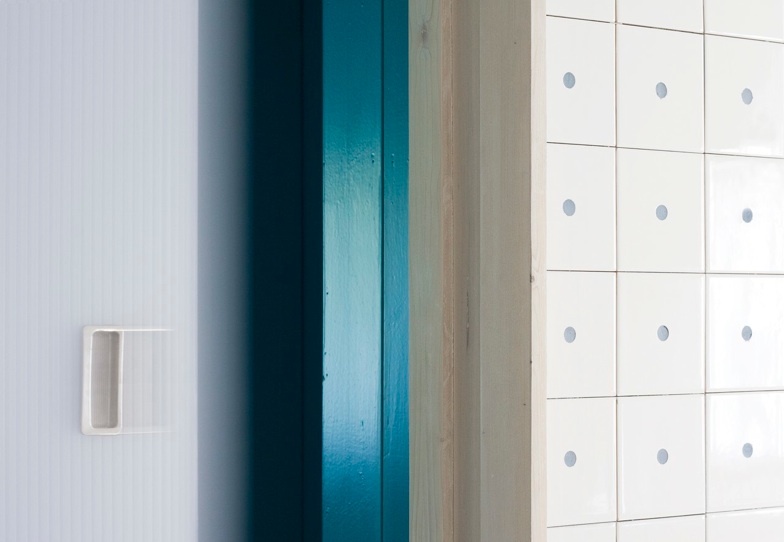 Anne has a French photo blog called Mobil Home, and I love her use of colour, pattern and composition. Lab is a beautiful label that mixes plaids, Liberty prints and colour washed linens in that very effortless and stylish way that French people seem to do so well. The pictures have me hankering after pretty much everything in their range - they do homeware and kids pieces, and I could happily live with them all! Thankfully, I've just discovered that vintage 1950's checked tablecloths provide similar plaids and colour combinations at a fraction of the price, so I'm currently fueling my desire that way! Caitlin Mociun designs beautiful jewellery and her home reflects this. Like most renters, she knew that she would only live in her Brooklyn apartment temporarily and faced the dilemma of how to make it feel like home, without doing any major work. I like the way that these restrictions have encouraged her to create a very minimalist space that focuses on edited furniture, colourful artwork and carefully selected ceramics. 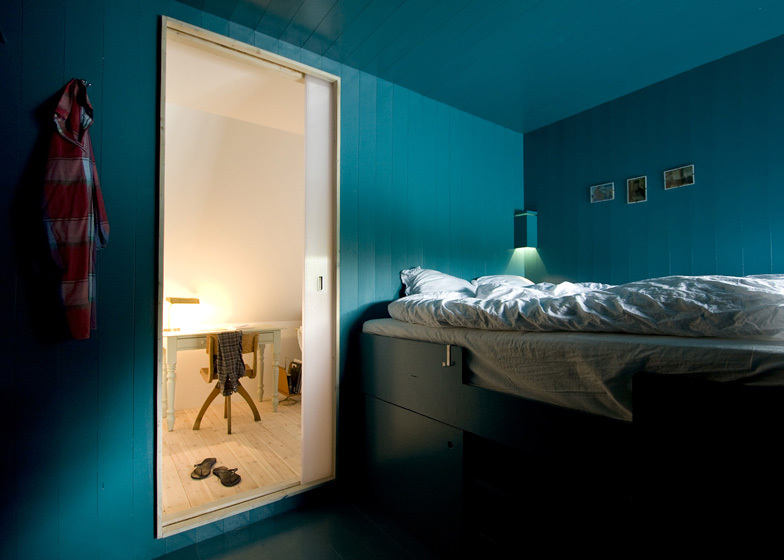 It is a comfortable and creative home that is both easy to live in and move out of. "I'm not attached to it," she says." But I'm totally comfortable in it. It's inspiring to me." Mociun's apartment was once a bar in the Brooklyn Navy Yard. It has high ceilings, painted brickwork, big windows and lots of natural light. She mixes a few bits of vintage and appropriated furniture with selected pieces from her shop including striped Libeco benlinen, hand thrown pottery and Moroccan rugs. Her collection of green houseplants also feature heavily across the apartment. These bright pops of colour echo Mociun's jewellery designs and although the minimalist design might be a result of functionality, I find this style of edited living very inspiring. This new house in rural Suffolk was designed by British architect Lucy Marston to reference old English farmhouses. Sitting high among a group of existing farm buildings, the exterior features red brickwork and a steep gabled roof, facing east across salt marshes and open fields, towards the sea. Internally, the vernacular references continue with whitewashed brickwork, exposed beams, a super-sized inglenook, window sills deep enough to sit on and a large kitchen table, seating ten. I particularly like the muted colour palette and the way the chartreuse yellow in the bedroom and bathroom complement the crops in the fields. Strangely, I also like the carpets in the living room and bedrooms. It's good to see that the owners of this stylish house have kept it cosy and comfortable; I'm sure that the result is a very happy and contented home. 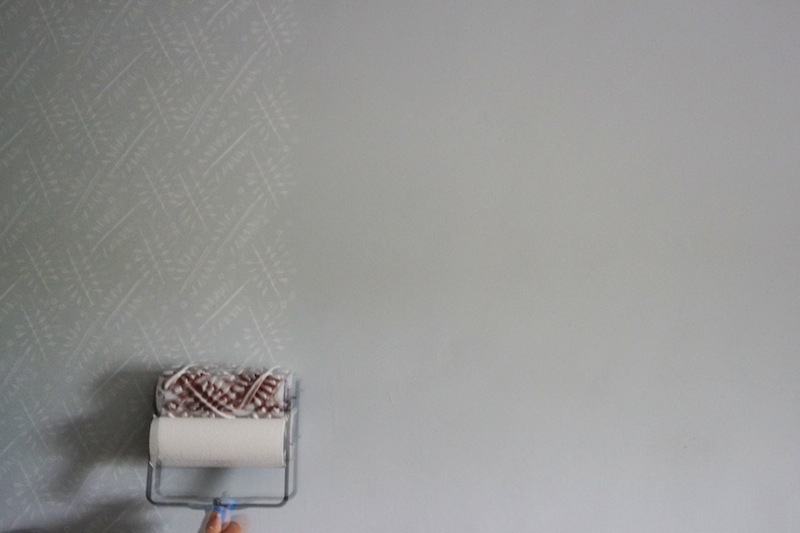 I mentioned The Painted House here before and I just couldn't resist having a go of their patterned paint rollers. We have wonky cob walls in our house and although they are lovely and characterful, I've always wanted to have at least one room with a bit of pattern on the walls. Cob and wallpaper aren't a great match (plus the papers I like tend to be prohibitively expensive) so I was extra keen to give these rollers a try. 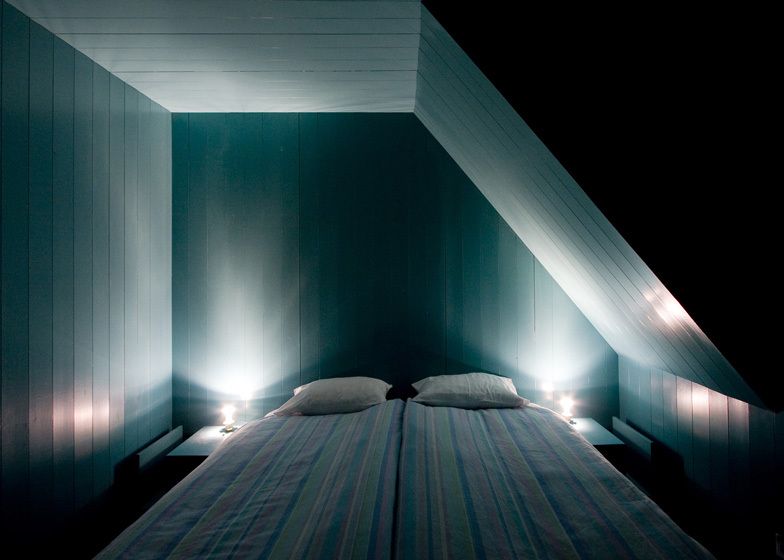 I used design no.4 on our pale blue bedroom walls. It is a very simple design with a 1930's-style leaf pattern. I added the design in white, over the existing blue and I am so delighted with the results! It was extremely easy to do; the whole room took just under two hours and now the walls have a subtle vintage pattern that suits the cottage perfectly. I can see that these patterned rollers could become quite addictive. I am already trying to think of other places to paint, and the great thing is that they are reusable so you can use them an unlimited number of times. You could use them to create printed fabrics, wrapping papers and cards. I also think that they would make a great tool for kids craft activities. Patterned cardboard playhouse anyone? I've written about The New Craftsmen before here and I'm very excited that they will shortly be opening a new space where customers can buy, commission and experience pieces from their growing network of British makers. The new shop is called The Garage and if these preview pictures styled by Sue Skeen are anything to go by, it's going to be a very special place indeed. Open from Friday 7th June, there will be workshops and demonstrations as well as pieces from some of Britain's finest craftsmen. There will be ceramics from Billy Lloyd and Nicola Tassie, woven textiles by Catarina Riccabona and beautiful leather goods from Doe Leather. I'm hoping to head over there in a couple of weeks but if you can't make it to the physical space, don't worry, you can see a small selection of the pieces online here. The Garage is open from Friday 7th June at 14a Adam's Row, London, W1K 2LA. Here is the latest house tour that I have posted on Apartment Therapy. 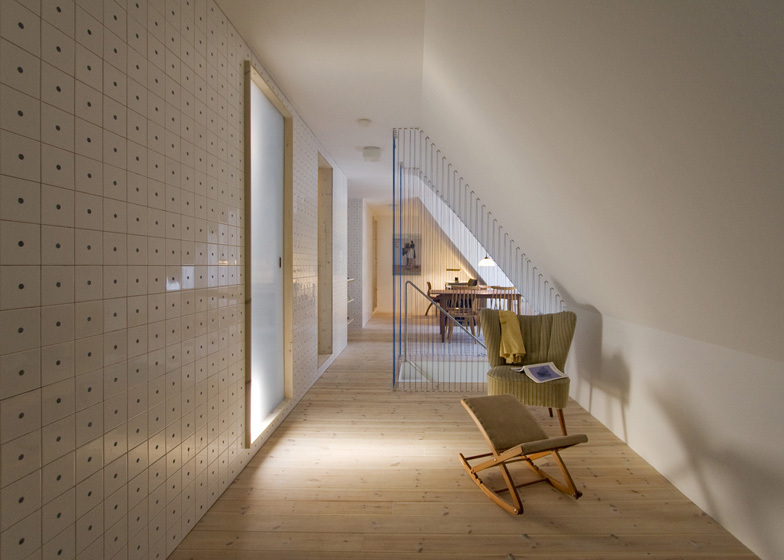 It's a beautiful Victorian townhouse in Oxford belonging to Anna and Ed Chipperfield. Anna is an interior designer and one of my favourite things about her house is the detached barn at the bottom of the garden. 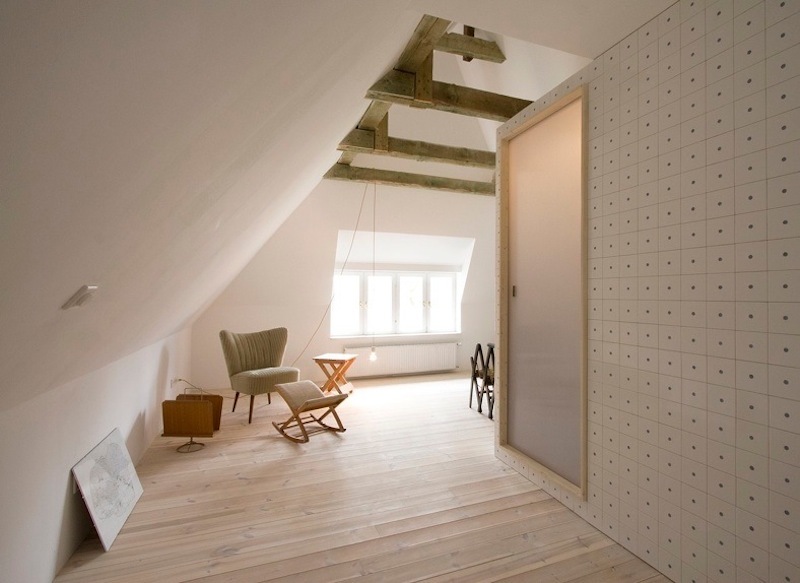 It is boarded from floor to ceiling in plywood. I also love her kitchen. It's light, bright and has just the right balance of function and fun. To see the full tour please click here. Remember that pretty pink bathroom that I featured a few weeks ago? Well here is a peek at the rest of the house. It belongs to my good friends Sophie and Nick and I shot it recently for Apartment Therapy. You can look at the full house tour here. Sophie and Nick are a very stylish couple who live in a large Victorian house in Manchester with their two daughters. It is one of my favourite places to visit, as they have a happy home with lots of good stuff to look at, great food at the table and are generally excellent company. Thank you for letting me feature you Sophie & Nick! I know that most people like to have a plain white bathroom these days and that white is considered neutral, non-offensive and clean but I have to admit that I find it deadly boring. I love coloured suites and am particularly taken with my friends' new pink bathroom. Inspired by Morelli's ice cream parlour in Broadstairs, Kent, their Art Deco washroom is truly delightful. For coloured bathroom suites to work, I think it is important that the pieces are good quality. This is a particularly solid ceramic set that looks and feels luxurious. If you are intrigued to see more of this beautiful house, I will be featuring a full tour here in the next couple of weeks. Inspired by Charleston farmhouse, I once spent a considerable amount of time designing a stencil for my bedroom walls. For some reason, I never actually got around to applying the stencil, but it is still a project which I hope to return to one day. I wish I had known about The Painted House back then as if I had, I would almost certainly have patterned walls by now. Claire Bosanquet stumbled across these unusual patterned paint rollers in a market in Romania and was so excited she bought the whole lot. She has now adjusted the traditional rollers for use on both walls and fabric and sells a choice of eleven different designs in her etsy shop. I love this idea and would definitely like to have a go with one. Perhaps those bedroom walls will get done after all. Here is a new house tour that I just published on Apartment Therapy. This garden flat in Dalston belongs to Mike Reid, a good friend of mine. It is fairly sparse and minimal as Mike doesn't like clutter - I only wish I could keep my own house this clean and tidy! To see the full tour, please click here. Rae Jones designs beautiful well-crafted shoes and bags, so I was delighted to get the opportunity to photograph her house for Apartment Therapy. Rae lives in East London with her husband and toddler, in a classic Victorian townhouse decorated with a considered collection of vintage furniture and accessories. I love her house and wish my photos had done the place more justice. I have come in for a bit of flak in the comments section of Apartment Therapy for not capturing it very well, but what can I say? I will try and do better next time! What do you think? Do you like Rae's house? To see the full tour, please click here. This is definitely one of my favourite house tours so far. It belongs to my friend Sue Huey (my co-writer on New Shoes) and her fiancee Graeme Fraser. Sue, Graeme and their two kids Iris and Harper, live in the heart of central Brighton in a Victorian townhouse. Standing just a few yards from the city's main shopping street, their home exudes charm, mixing antiques and curios with contemporary pieces. I love all the prints and embroideries grouped decoratively throughout the house while the tall ceilings and large windows make me wish I didn't live in a cottage! The living room is my favourite, with a beautiful Nouveau tiled fireplace and a mix of eclectic furniture. I also love the kids' bedroom. They share a room at the front of the house which is decked out with personalized bunting, crocheted blankets and cute furniture. To see the full tour which I posted on Apartment Therapy, please click here. Margaret Howell, one of my favourite clothing designers, has recently expanded her home products collection and launched a dedicated section in her webshop. The new collection includes suitably restrained ceramics by Nicola Tassie and some great textiles by Charlene Mullen and Eleanor Pritchard, all of which fit Margaret Howell's brand of understated simplicity perfectly. What I would really like to see though is an 'own brand' collection, as I love the Margaret Howell aesthetic and can see it transitioning effortlessly into homewares. Let's hope this expansion is a step in that direction. 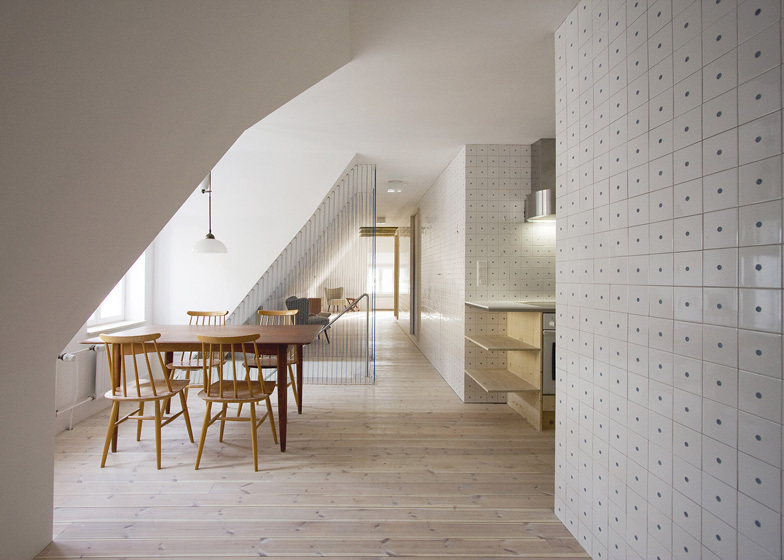 Today I am delighted to link to a new house tour that I have just posted on Apartment Therapy. This colourful East London flat is the home of my good friends Claire and Isabel. Claire is a trends analyst and spends her time travelling the world searching for inspiring design. As a result, her home is filled with trinkets and souvenirs found on her adventures. Both girls have a penchant for textiles, ceramics and house plants, which brings an eclectic global feel to their 1950's ex-local authority flat. To see the full tour, please click here. Today I want to link to a new house tour that I have just posted on Apartment Therapy. Marie and Ben live in a converted shoe factory in Hackney, East London. 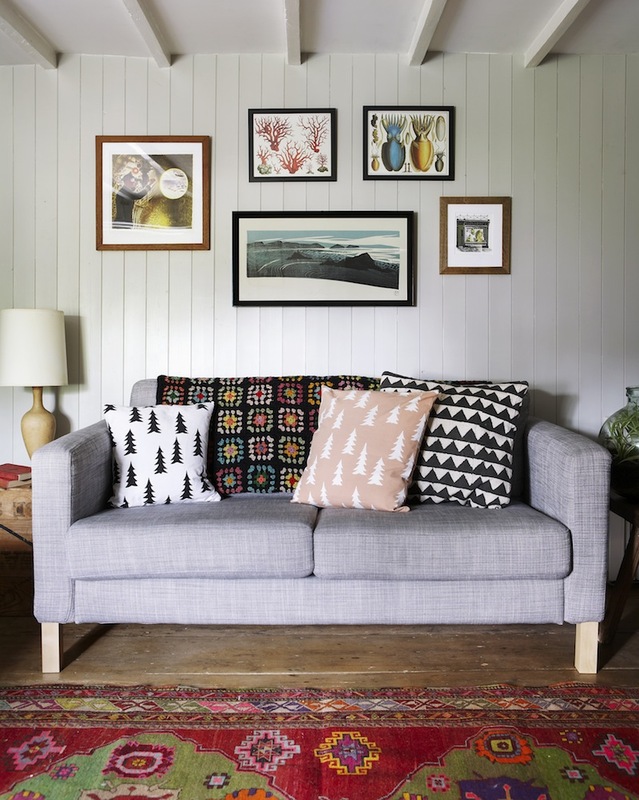 Danish-born Marie is the founder of Silk & Burg, a design company which sells beautiful screen printed cushions, tea towels and art work. 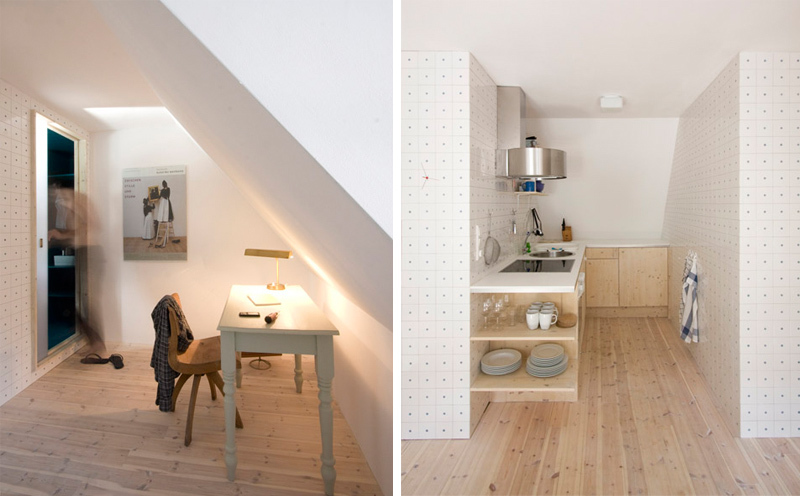 It was really fun to photograph Marie's apartment and the simple architectural details of the flat provide the perfect backdrop for her scandinavian-inspired aesthetic. I love the huge windows, open plan living space and subtle, feminine colour palette. To view the full tour, please click here to see the feature on Apartment Therapy. John Derian is one of my favourite shops in New York so I was intrigued to see his home featured recently in T Magazine by the New York Times. A former garment factory which was recently used as a sculptor's studio, the vast 1850's space in the East Village came with a wealth of history and aged patina perfectly suited to Derian's aesthetic. 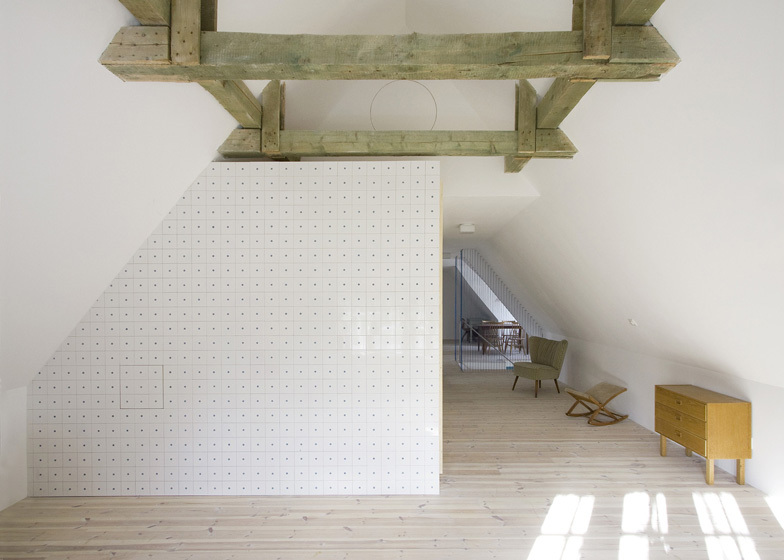 He attempted a makeunder rather than a makeover - keeping the building as raw as possible and filling it with a mix of his own and antique furniture. The result is an eclectic space which elegantly communicates the owners discerning taste.